What Are Other Surprising Factors That Can Raise Your Life Insurance Costs? If you collect speeding tickets like a magnet collects metal and are on a first-name basis with the staff at your local body shop, it should be no surprise that you pay a lot more for auto insurance. However, that established history of reckless behavior and poor judgment can also affect other things -- like the rate you pay for life insurance. recently released information on the 2015 Insurance Barometer, which included a survey asking consumers to identify factors that would affect their life insurance costs. Many results were expected, but a few were surprising. Below are the factors listed by LIMRA. The percentage indicates the percentage of people correctly identifying the factor as a life insurance risk. Tobacco Use (85%) - The most recognized factor within the group. Perhaps the surprising part is that 15% apparently think smoking does not matter. Age (82%) - Again, a fairly obvious factor leaving us scratching our heads about the other 18% of respondents. Health/Medical History (78%) - It may not matter for health insurance anymore, but it does for life insurance. Heavy Alcohol Use (75%) - A solid majority understand the risks associated with heavy drinking and the toll it takes. Current Health (74%) - See Health/Medical History above. Weight/Height Ratio (73%) - Unfortunately, with American obesity becoming an epidemic, this factor is taking on increasing importance. Family Health/Medical History (64%) - You may consider that unfair, but certain family traits and genetic factors are well known to affect lifespan. Life insurance underwriters are not in the fairness business, they are in the risk assessment business. Occupation (54%) - While this does not seem like it might be a factor, except for the most dangerous occupations, each occupation has its own set of assessed risks, whether it's riveting beams on a skyscraper or sitting eight hours a day staring at a computer screen. Gender (49%) - Sorry, guys, it's nothing personal. Men simply just do not live as long as women, and at certain stages of life, they are known to engage in riskier activities. 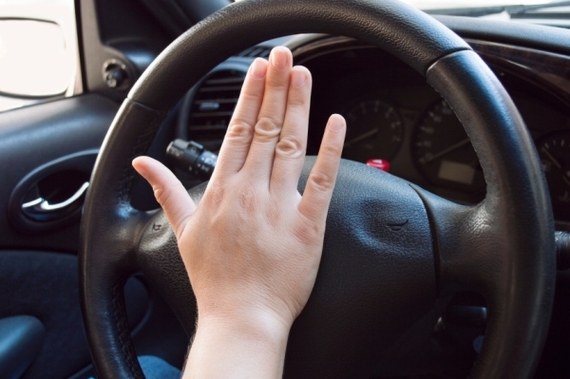 Driving Record (36%) - As mentioned above, bad judgment and risky behavior in driving suggests similar behavior in other potentially risky (thus life-threatening) activities. Credit History (34%) - Another area of assessing judgment. Overextended credit implies bad decisions on several levels. Less Underwriting (27%) - Less underwriting basically means a lesser assessment of your factors. From the viewpoint of an underwriter, the less that is known about you, the higher of a risk you pose. You may be considered an even greater risk once you are fully assessed, but the effect of the unknown cannot be ignored.